This article is about the Unitarian theologian. For the Transcendentalist poet, see William Ellery Channing (poet). Mount Auburn Cemetery Cambridge, Massachusetts, U.S.
William Ellery Channing (April 7, 1780 – October 2, 1842) was the foremost Unitarian preacher in the United States in the early nineteenth century and, along with Andrews Norton (1786–1853), one of Unitarianism's leading theologians. Channing was known for his articulate and impassioned sermons and public speeches, and as a prominent thinker in the liberal theology of the day. His religion and thought were among the chief influences on the New England Transcendentalists although he never countenanced their views, which he saw as extreme. He espoused, especially in his "Baltimore Sermon" of May 5, 1819, given at the ordination of the theologian and educator Jared Sparks (1789–1866) as the first minister of the newly organized First Independent Church of Baltimore, the principles and tenets of the developing philosophy and theology of Unitarianism, leading to the organization in 1825 of the first Unitarian denomination in America (American Unitarian Association) and the later developments and mergers between Unitarians and Universalists, resulting finally in the Unitarian Universalist Association of America in 1961. Channing, the son of William Channing and Lucy Ellery, was born April 7, 1780, in Newport, Rhode Island. He was a grandson of William Ellery (1727–1827), a signer of the United States Declaration of Independence, Deputy Governor of Rhode Island, Chief Justice, and influential citizen. He became a New England liberal, rejecting the Calvinist doctrines of total depravity and divine election. Graduating first in his class in 1798, he was elected commencement speaker though he was prohibited by the Harvard College faculty from mentioning the Revolution and other political subjects in his address. Channing's inner struggle continued through two years during which he lived in Richmond, Virginia, working as a tutor for David Meade Randolph. He came to his definitive faith only through much spiritual turmoil and difficulty. Channing was called as pastor of the Federal Street Church in Boston in 1803, where he remained for the rest of his life. He lived through the increasing tension between religious liberals and conservatives and took a moderate position, rejecting the extremes of both groups. In 1809 he was elected a Fellow of the American Academy of Arts and Sciences. In 1815 Channing engaged in a noted controversy on the principles of Unitarianism with Samuel Worcester, (1770–1821). A review of a pamphlet on American Unitarianism (American Unitarianism; or a Brief History of the Progress and Present State of the Unitarian Churches of America), attributed to Jeremiah Evarts, was published in the The Panoplist in June 1815. Channing objected to the way Unitarians in the United States were portrayed in the review. Worcester replied to this objection, and an exchange of pamphlets followed. Notwithstanding his moderate position, Channing later became the primary spokesman and interpreter of Unitarianism, after sixteen years at Boston's Federal Street Church. He was invited to come south again to Maryland to preach the ordination sermon of the future noted educator and theologian Jared Sparks (1789–1866), the first minister (1819–1823) called to the newly organized congregation (1817) in Baltimore known as the First Independent Church of Baltimore (located at West Franklin and North Charles Streets, in a landmark two-year-old structure designed by noted French émigré architect J. Maximilian M. Godefroy), later known, after a merger with Second Universalist Church in 1935, as the First Unitarian Church of Baltimore (Unitarian and Universalist), which was forever after known as "The Baltimore Sermon". The sermon, or address, was given on Sunday, May 5, 1819, and was entitled "Unitarian Christianity". In it, he explicated the distinctive tenets of the developing Unitarian movement, one of which was the rejection of the Trinity. Other important tenets were the belief in human goodness and the subjection of theological ideas to the light of reason. The anniversary of the address is celebrated and observed annually by the Maryland churches of the Unitarian Universalist Association and its Joseph Priestley District as "Union Sunday", with occasional ecumenical guests from other Christian bodies). In 1828 he gave another famous ordination sermon, entitled "Likeness to God". The idea of the human potential to be like God, which Channing advocated as grounded firmly in scripture, was seen as heretical by the Calvinist religious establishment of his day. It is in this address that Channing first advocated the possibility for revelation through reason rather than solely from Scripture. American Philosophy: An Encyclopedia classes him as one of several figures who "took a more pantheist or pandeist approach by rejecting views of God as separate from the world." In later years Channing addressed the topic of slavery although he was never an ardent abolitionist. Channing wrote a book in 1835 entitled Slavery James Munroe and Company, publisher. Channing has, however, been described as a romantic racist. He held a common American belief about the inferiority of African people and slaves and held a belief that once freed, Africans would need overseers. The overseers (largely former slave masters) were necessary because the slaves would lapse into laziness. Furthermore, he did not join the abolitionist movement because he did not agree with their way of conducting themselves, and he felt that voluntary associations limited a person's autonomy. Therefore, he often chose to remain separate from organizations and reform movements. This middle position characterized his attitude about most questions although his eloquence and strong influence on the religious world incurred the enmity of many extremists. Channing had an enormous influence over the religious (and social) life of New England, and America, in the nineteenth century. Toward the end of his life Channing embraced immediate abolitionism. His evolving view of abolitionism was fostered by the success of British abolition in the British West Indies in 1834 and the absence of the expected social and economic upheaval in the post-emancipated Caribbean. Channing wrote extensively about the emerging new national literature of the United States, saying that national literature is "the expression of a nation's mind in writing", and "the concentration of intellect for the purpose of spreading itself abroad and multiplying its energy". Statues of Channing are located on the edge of the Boston Public Garden, across the street from the Arlington Street Church that he served, (and from the Federal Street Church), and in front of Channing Memorial Church, built in Newport, Rhode Island in 1880 to commemorate the 100th anniversary of his birth. The same year, a younger Unitarian minister in Newport, Charles Timothy Brooks, published a biography, William Ellery Channing, A Centennial Memory. In 1885 the Channing School For Girls opened in London, primarily for the daughters of British Unitarian ministers. A portrait of him also hangs in the foyer of the First Unitarian Church of Baltimore (Unitarian and Universalist) at North Charles and West Franklin Streets in Baltimore, Maryland, along with the aforementioned "Union Sunday" annual commemoration services in May. Channing had a profound impact on the Transcendentalism movement though he never officially subscribed to its views. However, two of Channing's nephews, Ellery Channing (1818–1901) and William Henry Channing (1810–1884), became prominent members of the movement. 1 2 "American Unitarian Conference". Unitarian Christianity. Retrieved 13 February 2014. 1 2 Broaddus, Dorothy C. Genteel Rhetoric: Writing High Culture in Nineteenth-Century Boston. Columbia, South Carolina: University of South Carolina, 1999: 22. ISBN 1-57003-244-0. ↑ Channing, William Ellery. "The Moral Argument Against Calvinism". Pages 39–59 in Unitarian Christianity and Other Essays. Edited by Irving H. Bartlett. Indianapolis: Bobbs-Merrill; 1957 . Cited in Finlan, Stephen. "Jesus in Atonement Theories". In The Blackwell Companion to Jesus. Edited by Delbert Burkett. London: Blackwell; 2010: 21. ↑ "Book of Members, 1780–2010: Chapter C" (PDF). American Academy of Arts and Sciences. Retrieved September 9, 2016. ↑ Wilson, James Grant; Fiske, John, eds. (1889). "Worcester, Noah, clergyman". Appletons' Cyclopædia of American Biography. New York: D. Appleton. ↑ Harris Elwood Starr (1936). "Worcester, Samuel". Dictionary of American Biography. New York: Charles Scribner's Sons. ↑ "William Ellery Channing", Find a Grave Memorial, August 2016. 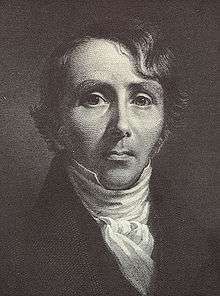 Wikimedia Commons has media related to William Ellery Channing. Wikisource has the text of a 1911 Encyclopædia Britannica article about William Ellery Channing. First Unitarian Church of Baltimore (Unitarian and Universalist). Online works by Channing, including "Self-Culture," and "Likeness to God"
The personal papers including manuscripts, of William Ellery Channing along with papers related to his work at Federal Street Church (now known as Arlington Street Church) are in the Andover-Harvard Theological Library at Harvard Divinity School in Cambridge, Massachusetts.